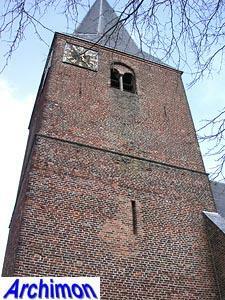 Of the three churches in Horssen, the St. Bonifatius is the oldest. 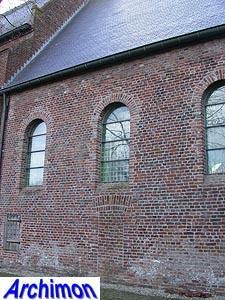 Little is known about its architectural history. A previous church was mentioned in the 13th century, most likely a Romanesque one-aisled building with a narrower, straight choir. 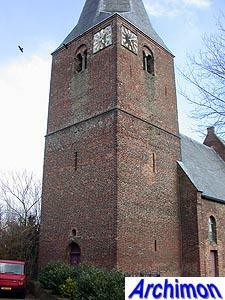 In the 14th century part of the church was replaced and the Romanesque tower built. 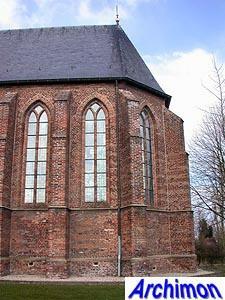 In the 15th century the Gothic choir was built. 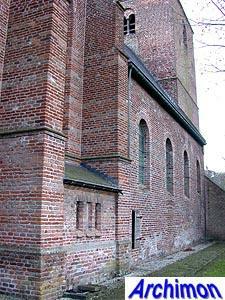 While the older parts of the church were built out of brick, for the choir tuff was also used i the form of decorative horizontal lines. 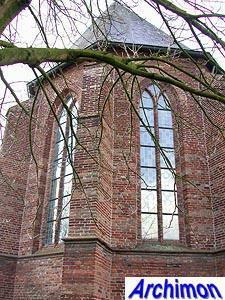 In the 17th century the church was handed to the protestant minority which in 1672, during the French occupation, was forced to return it to the catholics who in 1674, when protestant rule was restored, lost it again. 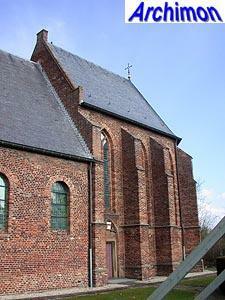 In 1800 the catholics succesfully reclaimed the church. 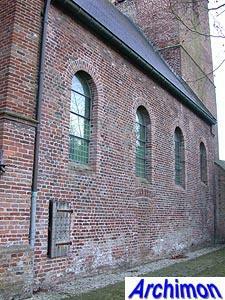 The derelict early-Gothic nave was completely rebuilt after 1820. 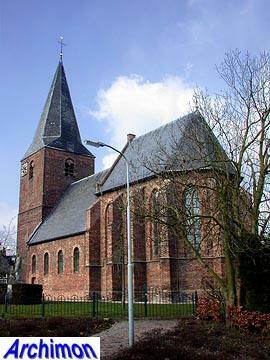 The old name St. Bonifatius was replaced by St. Antonius Abt. 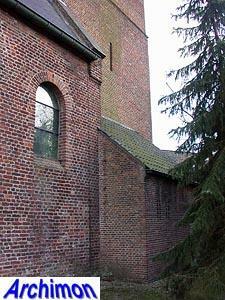 Early 20th century the church had become too small for the growing parish. In 1908 two plans were made to solve the problem. 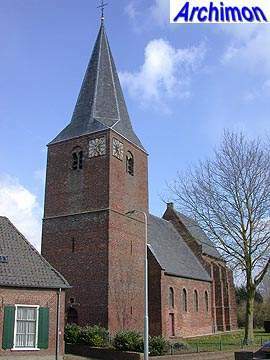 Architect W. Scheepens proposed to extend the one-aisled nave with side-aisles, consisting of traves with pointed gables, add lateral chapels to the sides of the choir and built a polygonal baptistry at the front. 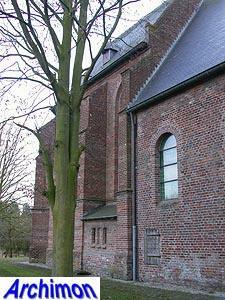 But instead of Scheepens' design, C. Franssen's design for a completely new church was chosen. The new church was built opposite the old one, which was abandoned and did not get a new destination until 1937, when it became the community centre of the parish, a function in which it served until 1974. 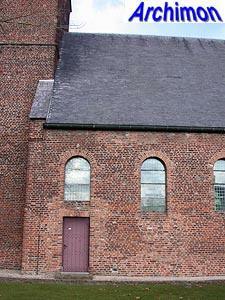 After that it was used for several decades for storage of old church furniture. More recently, it was given a new spiritual use.